Anish Kapoor’s Descension will open at Pier 1 at Brooklyn Bridge Park on 3 May, as part of Public Art Fund's 40th Anniversary celebrations. It is the first time this iconic installation, which is 26 feet in diameter, will be on view in North America. 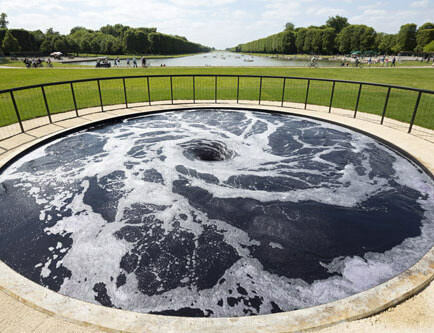 The work uses a continuously spiraling funnel of water to create the illusion of an endless whirlpool. Kapoor will participate in the Public Art Fund Talks at the New School on 3 May. A series of new work is on view at Lisson Gallery London through 6 May, the artist’s sixteenth exhibition at the gallery.